Kirill Afanasievich Meretskov was a Soviet military commander. 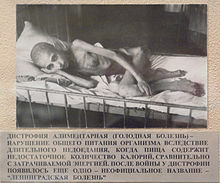 Having joined the Communist Party in 1917, he served in the Red Army from 1920. During the Winter War, he was responsible for penetrating the Mannerheim Line as commander of the 7th Army. He was awarded the title of Hero of the Soviet Union shortly afterwards. 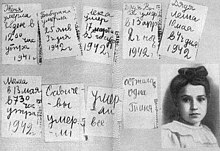 Operation Iskra was a Soviet military operation during World War II, designed to break the Wehrmacht's Siege of Leningrad. Planning for the operation began shortly after the failure of the Sinyavino Offensive. 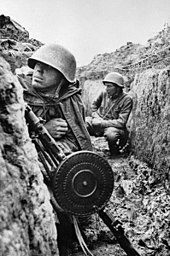 The German defeat in the Battle of Stalingrad in late 1942 had weakened the German front. By January 1943, Soviet forces were planning or conducting offensive operations across the entire German-Soviet front, especially in southern Russia, Iskra being the northern part of the wider Soviet 1942–1943 winter counter offensive. 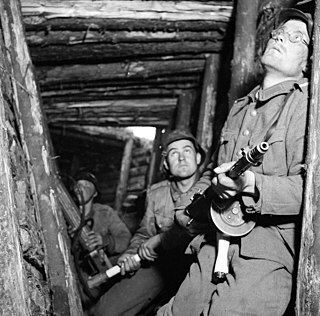 The Battle of Tali-Ihantala was part of the Finnish-Soviet Continuation War (1941–1944), which occurred during World War II. The battle was fought between Finnish forces—using war materiel provided by Germany—and Soviet forces. To date, it is the largest battle in the history of the Nordic countries. The Sinyavino Offensive was an operation planned by the Soviet Union in the summer of 1942 with the aim of breaking the Siege of Leningrad, which had begun the previous summer, and establish a reliable supply line to Leningrad. At the same time, German forces were planning Operation Northern Light to capture the city and link up with Finnish forces. 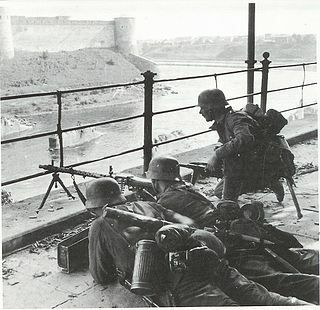 To achieve that heavy reinforcements were arriving from Sevastopol, which the German forces captured in July 1942. 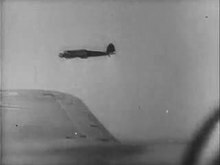 Both sides were unaware of the other's preparations, and this made the battle unfold in an unanticipated manner for both sides. 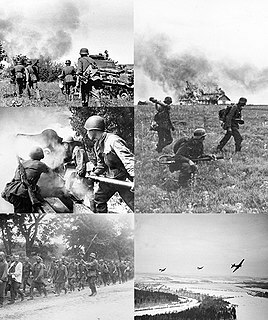 The Red Army's 54th Army was a Soviet field army during the Second World War. It was first formed in the Leningrad Military District in August, 1941, and continued in service in the northern sector of the Soviet-German front until the end of 1944. 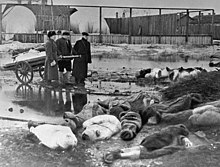 It spent much of the war attempting to break the German siege of Leningrad, in which it helped to achieve partial success in January, 1943, and complete success one year later. During these operations the soldiers of the 54th served under five different commanders, most notably Col. Gen. I.I. Fedyuninsky in the winter of 1941–42. After helping to drive Army Group North away from Leningrad and into the Baltic states in the first nine months of 1944, the army was deemed surplus to requirements on the narrowing front, and was officially disbanded on the last day of the year. The 310th Rifle Division was a standard Red Army rifle division formed on July 15, 1941 in Kazakhstan before being sent to the vicinity of Leningrad, where it spent most of the war, sharing a similar combat path with its "sister", the 311th Rifle Division. The soldiers of the division fought until early 1944 to, first, hold open some sort of lifeline to the besieged city, then to break the siege and drive off the besieging German forces. They then participated in the offensive that drove Germany's Finnish allies out of the war. Finally, the division was redeployed to take the fight to the German heartland in the winter and spring of 1945. It ended the war north of Berlin with a very creditable combat record for any rifle division. The 311th Rifle Division was a standard Red Army rifle division formed on July 14, 1941 at Kirov before being sent to the vicinity of Leningrad, where it spent most of the war, sharing a similar combat path with its "sister", the 310th Rifle Division. 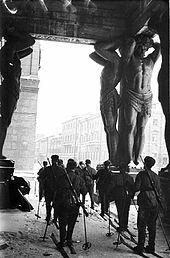 The men and women of the division were fully engaged in the struggle for Leningrad until early 1944, fighting in several offensives to drive a lifeline through the German positions to the besieged city, and then to finally drive the besiegers away. When this was accomplished, the division was redeployed to take the fight into the Baltic States in 1944, then into the German heartland in the winter and spring of 1945. It ended the war north of Berlin after compiling a very distinguished record of service. The 314th Rifle Division was a standard Red Army rifle division formed on July 15, 1941 at Petropavlovsk in northern Kazakhstan, before being sent to the vicinity of Leningrad, in the 7th Separate Army east of Lake Ladoga, facing the Finnish Army in East Karelia for more than a year. 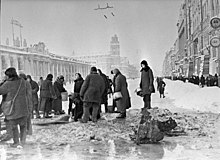 In consequence the division saw relatively uneventful service on this mostly quiet front until the autumn of 1942, when it was moved south to face German Army Group North, and took a leading role in Operation Iskra, which finally drove a land corridor through to besieged Leningrad in January 1943; a year later it also served prominently in the offensive that broke the enemy siege for good. 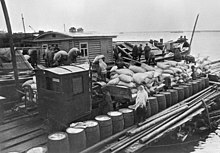 During the summer the division played a role in the offensive that drove Finland out of the war. Following this, the 314th spent a few months fighting in the Baltic States, before being reassigned southwards to 1st Ukrainian Front to take the fight into Poland and then into the German heartland in the winter and spring of 1945. It ended the war in Czechoslovakia with a distinguished record of service. The 358th Rifle Division formed in August 1941, as a standard Red Army rifle division, at Buguruslan. It first saw action in January 1942, taking part in the offensive northwest of Moscow which carved out the salient around Toropets deep in the rear of Army Group Center. The division remained on this general sector of the front, nearly the whole time in 4th Shock Army, until March 1944, when it was withdrawn for rebuilding. 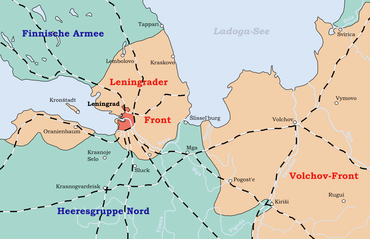 It was then assigned to 21st Army north of Leningrad where it participated in the offensive that drove Finland out of the war from June into August, and remained on this front until December. It was then reassigned to the 39th Army, under which it fought in East Prussia until April 1945. During that month the entire 39th Army began moving to the Far East, where it took part in the Soviet invasion of Manchuria in August, where the 358th won its second battle honor, capping a distinguished record of service.